Cicero Designs is a marketing and design firm providing a full range of services that include: web design & development, online marketing, content development, social networking & e-blasts; as well as traditional print work for newspaper ads, brochures, mailers and posters. 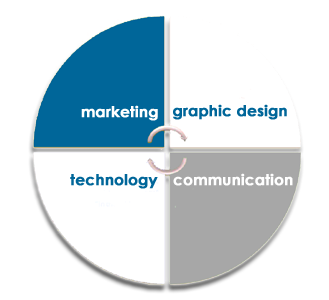 The rapid changes in technology and communication have provided enormous opportunities for businesses and professionals to connect to customers & clients; but, with these opportunities come additional needs and know hows in order to maintain a consistent marketing strategy and branding. Cicero Designs provides a holistic array of services that can meet all the marketing and communication needs of small to medium businesses. Cicero Designs offers a combined 40 years of experience in the fields of technology, graphic design and content development – the three pillars of 21st century communication. The revolution in technology and communication continues unabated as businesses seek to connect to customers via the web, e-blasts, mobile devices, and social networking platforms such as Facebook. Cicero Designs helps SMBs and professionals navigate these varied communication options to develop a marketing strategy that offers the most bang for the buck.